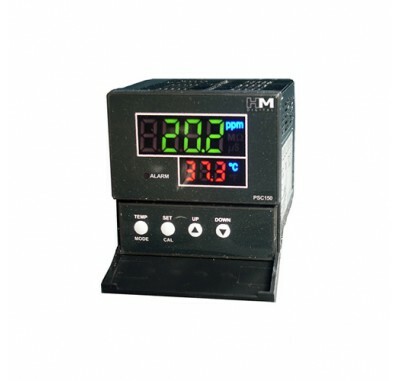 HM Digital PSC-154 Panel Mount EC & TDS Controller has extended range with on-screen temperature and tri-color display. HM Digital PSC-154 TDS/EC Controller monitors and controls TDS/EC levels for high output commercial systems. It comes with an L.E.D. display which is large and bright. PSC-154 gives 4-20mA output signal which can connect to a PLC to record values. HM Digital PSC-154 Controller comes with an alarm that sounds if the TDS/EC level rises above the user-set level. It comes with a switch that controls a device based upon the set point of usability. 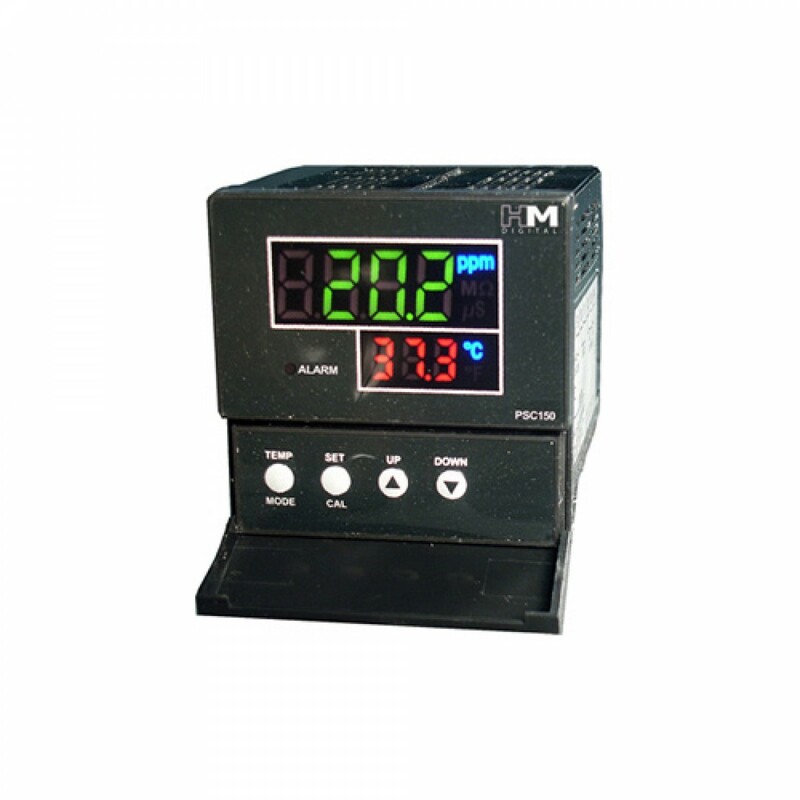 PSC-154 Controller has a large on-screen temperature display (C/F) for easy reading. PSC-154 Controller is easy to install. PSC-154 Controller includes one sensor probe. Protective cover is also available for HM Digital TDS/EC Controller which protects it from dust and water (sold separately).